SME contribution to Dubai's economy rose from 40 per cent in 2009 to 47 per cent in 2016, while their contribution to job creation rose from 42 per cent to 52.4 per cent during the same period, a report said. SME contribution to Dubai's economy rose from 40 per cent in 2009 to 47 per cent in 2016 while their contribution to job creation rose from 42 per cent to 52.4 per cent during the same period in spite of slow global economic growth, a report said. Dubai SME, the agency of the Department of Economic Development (DED) in Dubai mandated to develop the small and medium enterprise (SME) sector, in conjunction with the Dubai Statistics Centre, released the new study on the local SME sector as part of Dubai SME Development Plan (SMDP), which is part of the Dubai Plan 2021. Younger start-ups make up nearly 50 per cent of the companies registered in Dubai and it validates the emirate's appeal as a global centre for entrepreneurship, knowledge transfer and innovation, which also boasts of a state-of-the-art infrastructure and flexible legislative framework conducive to investment. 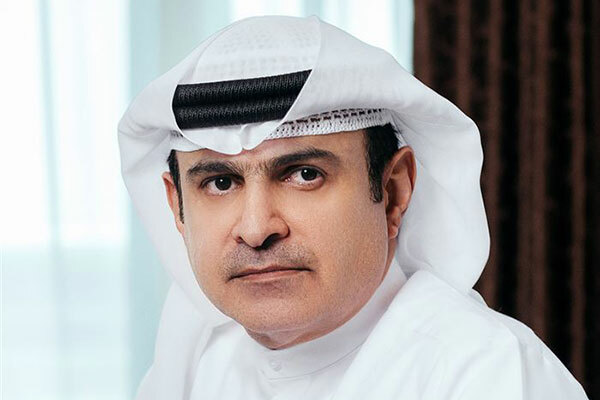 Sami Al Qamzi, director general of DED, said that SMEs in Dubai have demonstrated their ability to withstand regional as well as global instabilities and continued to march with confidence. He reiterated DED's commitment to enabling local SMEs to adopt best international practices and strengthening their role in economic development in Dubai. Al Qamzi also stressed the need for clear policies that enable SMEs to absorb rapid changes and grow sustainably thus reinforcing the emirate's competitiveness. Arif Obaid Al Muhairi, director general of the Dubai Statistics Centre, stressed the importance of monitoring and evaluating economic performance across all indicators periodically in order to provide a clear picture for decision makers. Referring to the joint initiative from Dubai Statistics Centre and Dubai SME Al Muhairi called for further studies and statistics on the importance of the SME sector and SME development initiatives of Dubai and the UAE. Abdul Baset Al Janahi, CEO of Dubai SME, said: "The study confirms that our efforts over the past years have been fruitful and that the range of initiatives and policies Dubai SME has adopted are today being considered as global best practices by international organisations and institutions including the World Bank, United Nations, and the Organisation for Economic Co-operation and Development." Al Janahi said Dubai SME will continue to launch innovative initiatives to accelerate enterprise growth and provide practical solutions to the challenges facing SMEs, particularly innovative financing mechanisms, global start-up programmes that strengthen Dubai's leading position as one of the best destinations for foreign investment regionally and globally that also supports transfer of knowledge and technology. Al-Janahi said that Dubai SME was among those organisations that recommended to the United Nations to launch a global day for SMEs in 2016 to highlight the importance of the sector and share best practices among policy makers across nations. Dubai SME will continue its march as we have the elements of continuity and leadership to consolidate our position on the global map, added Al Janahi. The study adopted the official definition of SMEs in the UAE for the first time on a database in Dubai.